We’re in a world that is getting increasingly digitized as the days proceed and search engine optimization is one of the primary requirements today. I’m sure you must have figured out that an online presence is a must if you want your business to flourish; since geographical boundaries are losing relevance when it comes to potential customer base. However, just having a website is not enough either; looking at the fact that almost everyone wants to have a business route online, just like you. This causes digital clutter and makes it hard for your website to be seen / preferred by search engines like google and bing. However, there is a way to get rid of this problem and to get a better presence on search engines, by reach your potential consumers far more effectively. And one of the major part of that solution is SEO- search engine optimization. If that is not reason enough to have an effective and well thought SEO strategy in place, here are 5 more reasons that will convince you! 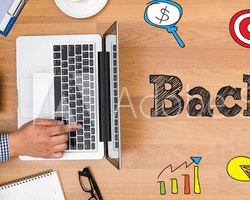 Better reach and lead generation : There has been a hike of 15% to 12% chances in conversion rate as compared to leads generated through outbound marketing. Interruptive marketing is slowly marking its way towards extinction-because consumers hate the interruptions during their leisure time- they aren’t paying attention to what you have to say and they simply aren’t interested. Hence, SEO works best because this time the consumer is looking for your product or service and effectively, when they visit your website/ desired landing page, they will be paying attention to what you have to say about your product or service with a willingness to pursue forward. But how will they find your website among lakhs of search results provided by Google or Bing? The answer is- an effective SEO strategy. A recent data collected by Hubspot shows that 91% of businesses that developed their online presence through SEO saw an immediate rise in their lead generation numbers. SEO is not cost, its investment : We may observe that even though our keywords trigger some great conversions, we’re not ranking on the first page of google search results. This is as good as leaving money on the table, with no satisfactory returns, whatsoever. 92% of search engine traffic comes from the first page and thing on 2nd page and further will diminish the returns. This is where google analytics comes to play. You can not only review your progress after optimizing your website but also work on these small but game changing issues that can take you to a new height of performance with the help of a proper SEO strategy. It has the potential of converting your website into your most valued sales recruit : Okay let’s think about it. Your website is your best employee as it is. It works 7 days a week, 24*7 without calling in sick or lagging in competence. It can generate enquiries by hundreds at a particular time, without complain and is able to multitask like a boss. SEO has the potential of bringing this best sales recruit of yours in the limelight and help it get to its highest performance when it comes to user experience as well as effective communication of your product or service. SEO is as important as salt in food : SEO isn’t just the icing of the cake, it is a very important ingredient of your Digital Marketing Strategy. Even though it may seem as though it’s a troublesome task at first, you’ll see the result yourself and understand that it is not only cost effective, but as important as salt in food; being responsible for bringing all the flavours together. It is the key ingredient that uplifts the entire digital marketing strategy and allows you to bind all different aspects together to generate an expectation exceeding ROI. 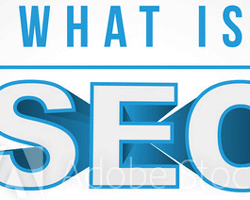 SEO enables you to use free advertising : Search Engine have two components Paid Advertising and Organic Results. Search engines charge paid advertising based on Cost per click but Organic Results are free results wherein Search Engine don’t charge a penny for it. 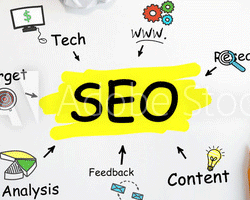 Once you have applied SEO Strategy successfully and you start ranking in search results all the traffic that comes to your website is Free of Cost. 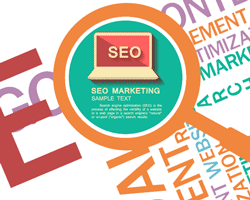 All you pay is to your SEO Consultant or SEO Agency which is minuscule as compared to the returns. I hope these 5 reasons have helped you understand SEO better and the importance of it, in relation to other aspects of digital marketing.